Thank you for selecting Kunes Country Honda of Quincy for all of your automotive needs. We take pride in providing you with excellent customer service at all times. 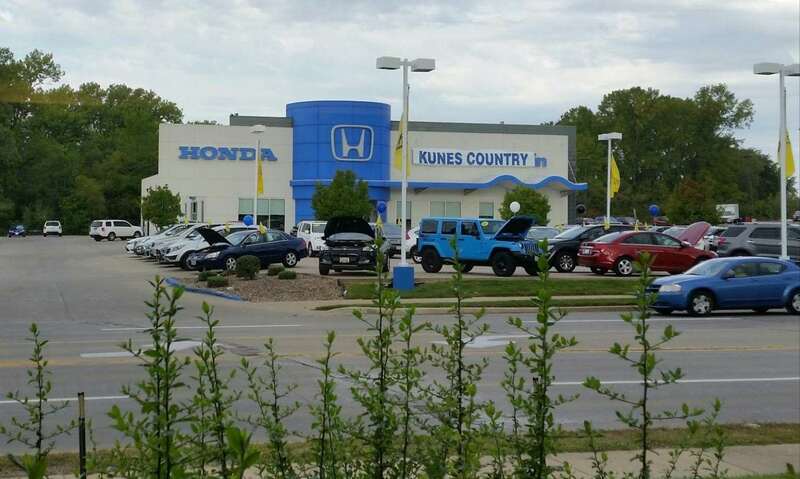 At Kunes Country Honda of Quincy, we are your one stop shop for new Honda cars in central Illinois and pre-owned cars for Quincy, IL, Hannibal, MO, Keokuk, IA and surrounding areas. We have a great selection of new and certified pre-owned Honda vehicles such as the Honda Accord, Civic, Pilot, CR-V, Odyssey, and Fit. Our dealership takes pride in helping you out during every step of the purchasing process: before, during and after the sale. We provide state-of-the-art facilities to our customers with free Wi-Fi, a children's play area, lounge with TV, and free refreshments every day of the week! Our service advisors, technicians, and parts department are fully trained and here to help you after you purchase your vehicle. The Honda parts department takes pride in selling you genuine Honda parts and accessories for your vehicle.Our award-winning service department will service your vehicle with fast, friendly, exceptional care. Our complimentary shuttle is also available to our customers that are waiting while their vehicles are being serviced. If you are looking to speak directly with someone at Kunes Country Honda of Quincy, you can easily reach us at 217-228-7000, or visit our dealership at 221 N 36th Street in Quincy, IL.